Development of design and template, for further filling with text and graphic. Development of branded map of Moscow and Moscow Regions. During several months working with the catalog should engage people of different professions and skills. Was tasked, do more then just visually pleasing style, but also design it such a way that it easier for users to understand the unfamiliar system, to work without breaking the integrity of the project, in the framework of strict requirements print production. Was produced great practical and theoretical work aimed at trying to understand how users will be working, for creating the necessary environment for it, and to teach them to work with it. 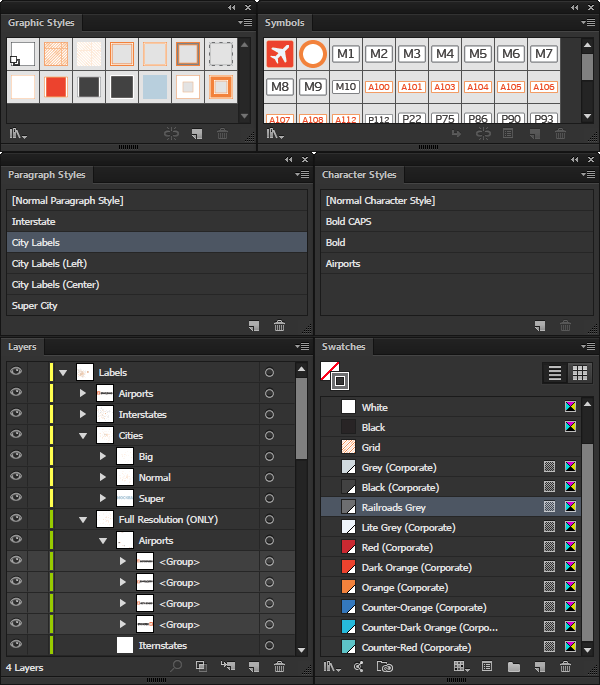 Due to the fact that basic template was made in Adobe InDesign format, for the improvement of compatibility, to get necessary quality, Adobe Illustrator was chosen as platform for map. 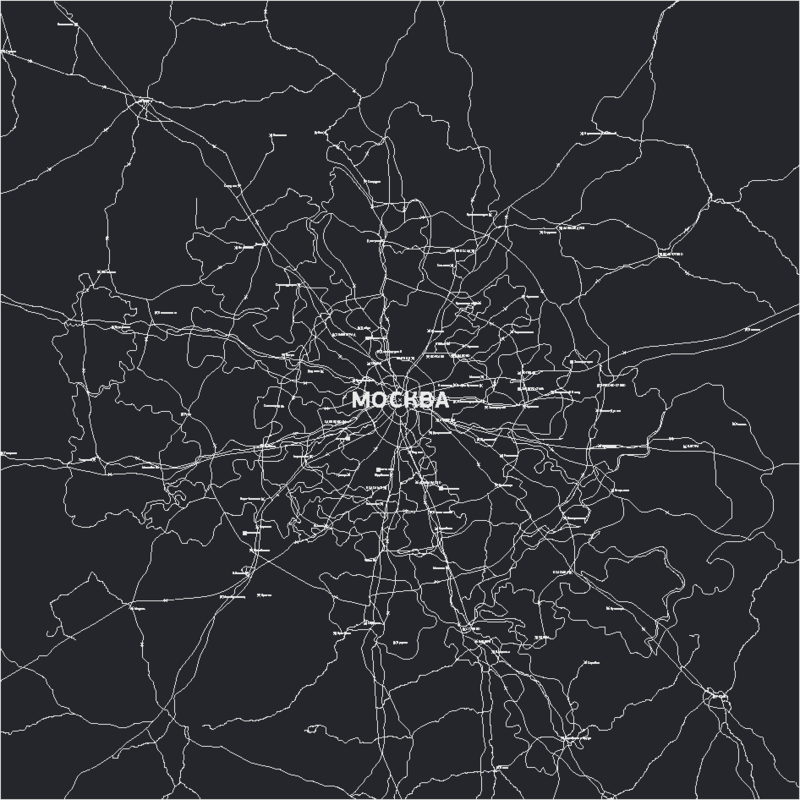 Map of Moscow Suburbs is mainly complex vector graphics, we needed to be bring down the "threshold of entrance" of user that's especially works with vector editors. Also, the additional complication is that the scale could vary in an unpredictable manner during development, and the conditions of use are not fully known. At development of the similar system, containing several hundred of the same type elements, for a designer obviously, you need to look in different automation techniques, as it will allow in the future to bring down time on a rework. But third-party operator is not aware of these nuances, whose task is filling of content only. It is especially important therefore, that all actions are related to styles had a reset function of parameters, for the decline of errors. The process of input of new elements similarly must be maximally simplified. In the end, we're been able to turn environment Adobe Illustrator in some semblance of an office suite, understandable vast majority of target performers, and to do it without the use of third-party plugins/scripts that would have complicated the process of deploying work environment on individual workstations.